Travelling with anxiety can be so difficult, especially as Christmas approaches everywhere becomes noisier and busier. I don’t tend to travel much, especially alone as I panic quite often. We have found a few ways to manage my anxiety and make my journeys as easy as possible. I have one or 2 trips planned over the Christmas holidays and it got me thinking about others travelling with anxiety too. It may seem obvious but planning ahead can make journeys much easier when travelling. Here are 5 ways to make your journey a little easier. Check your route – Google maps is your friend! Make sure you know exactly where you are going, using street view I can look at the front of the building and surrounding buildings. The area feels a little more familiar and I can find my way much easier knowing what to look out for. Check Travel Options – I tend to look for the quickest routes and the cheapest fares. If I am travelling by train I check to see the train before and after the one I am aiming for in case I arrive early or late. I also check to see what buses run too in case there are any issues getting the train. Book in advance – Booking tickets in advance make travelling a lot less stressful. Not having to queue up for you ticket can save a lot of time and panic. You can often save a little too by booking a week or so in advance. A lot of the buses now have apps so you can buy your ticket on the go. I love this as it stops me worrying about losing my ticket. Take a distraction – I find if I have nothing to do I become overly anxious when travelling. Crocheting, tweeting or reading an e-book really help distract and calm me down. Take a snack & drink – Again this may seem obvious but if there are delays being hungry and thirsty will make you feel much worse. Keeping hydrated and sugar levels up is important when travelling, especially on longer journeys. I was really pleased this week when Your Thurrock announced C2C are currently installing new digital display boards at their stations which show how full each carriage is. This simple little thing has made me really happy as I struggle with crowded noisy carriages. I know plenty of others find it hard too and these displays can make travelling with anxiety easier. Being able to avoid overly crowded carriages will make travelling easier for so many people. 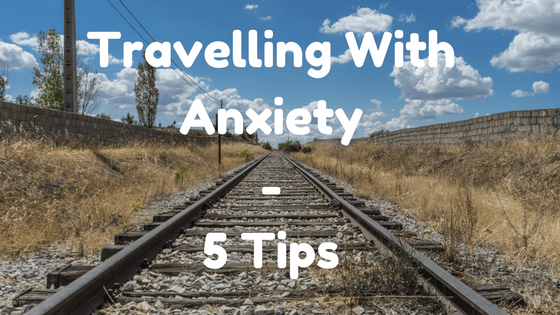 Travelling with anxiety can be really stressful, do you have any tips for easing anxiety whilst travelling?